If Kentucky Fried Chicken (Finger licking good) and Church's Chicken (I know what good is) merged, would the new slogan be "I know what finger licking good is?" What is finger licking good? This possee is taking this matter way to serious. Benefit of the doubt goes to the shooter don't you know. I am surprised Utah Bob hasn't chimed in. He's looking for the appropriate hat! Do you know the difference between a duck..? Why won't he just release his birth certificate? Cause he was born in Kenya! Have we heard a "tastes great versus less filling" yet? Blastmaster the reason we go OT so readily, as should be obvious from the contents of the thread, is that we all have the attention span of 5th graders and the sense of humor to match. Which gun would you have bou......Did ya hear the one about the politican who said the vast majority Americans were against the proposed legislation because IT DIDN'T GO FAR ENOUGH!? except Grandma...she has a tricycle. I'm against most legislators, because they haven't gone far enough....East into the Atlantic. WOW, that would bump up the pollution level. Would you like to see another photo of my dog? Blastmaster, when you have a face-to-face conversation, don't topics evolve and tangents happen? I've seen apologies for going OT. I've seen new threads opened to not derail the original post. Sometimes folks try to stay OT. Sometimes, they don't. It's no big deal to me, unless it's my thread. There are many things that bother me much more, like speeelin' and grammer. APPLES AND ORANGES!!! All everyone ever want to talk about is apples and oranges. Why don't we talk about bananas sometimes? What was the topic? I forgot... hmmm Oh, yeah it was about the new overpasses created by the "brains" in our community in Springfield. .. lol.. Oh, that was maybe the newspaper website? Not sure.. Okay.. fill me in what are we talking about now? "subvocalize"? What the heck is subvocalize? Is that like a mouse fart in the forest where no one heard the tree fall beside the spelt milk under the bridge? Why hasn't anyone started a Wild Bunch of Baptist Category? And what eggzakly would a Wild Baptist Category look like? William Holden because no one wants to be Warren Oats! Yes, and one of your cat too! Everyone knows "Boneless Chicken" is a Hard Boiled Egg! And yes there is no different between a "lame duck" and a RHINO ... they're both named ARNOLD! 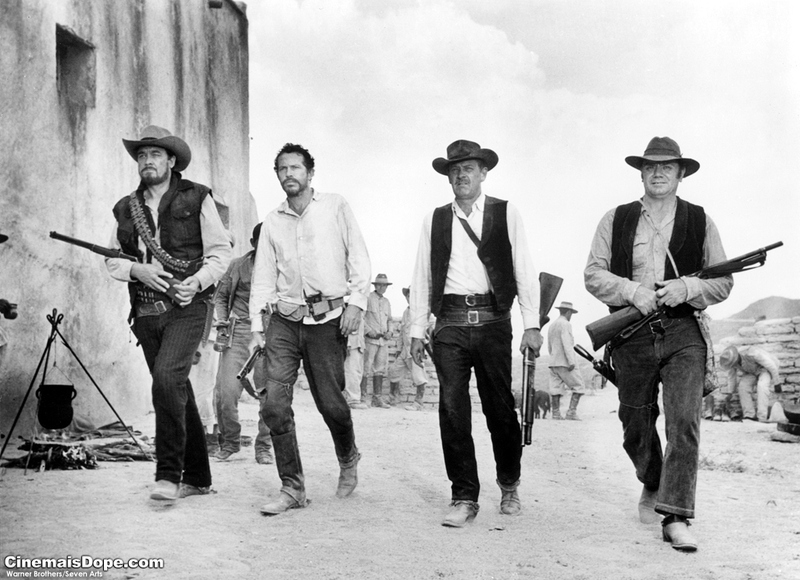 How many guys in the Wild Bunch actually used a 1911s at the end? It's okay Blastmaster, every one gets Hi-Jacked once in awhile..I'm a Hi-Jacker....sometimes. I like the gun "M", caliber "Many"
My name is Badger Mountain Charlie and I am a thread hijacker. I feels so much better now. Confession is good for the soul. Hey buddy! How 'bout giving the apples and oranges a break? Bananas get all the attention. It doesn't matter that a monkey will eat an orange or an apple just as quickly as they will a banana, but does anyone ever mention that? Did you ever see a stuffed monkey toy holding an orange or an apple? No! Get real...you...you...you...fruit racist! Well, now,Buried in all this mess of fried chicken.........Mmmmm fried chicken..... and feelings of childhood memories some folks have given pretty good answers to the topic. Some times ya just gotta jump over the bull sh@t! Oh, and the perfect omlet consist of 7 eggs not 3. Allie Mo (no e), By OT did you mean ON TOPIC OR OFF TOPIC? Attention span is a big problem with the childish mind because............. what was I sayin' again? Doesn't damnit! This drives me....apples and oranges! You see! Another example of how bananas gets all the attention. Bananas are simply un American! IMHO, YMMV, MY 2Cents, FWIW, My veiw from the saddle or the barn or the porch. Cavalry arrives just in the nick of time. Calvary is a hill in Jerusalem. Boiled cabbage gives me gas! raccoons and rats died soon after eating the fruits from the trees. I just figured that the fruit must have been toxic to them, but it was later diagnosed as lead poisoning. interesting............you think that's chicken under that fried crust! Glad we could be of assistance to you, always willing to help you know!